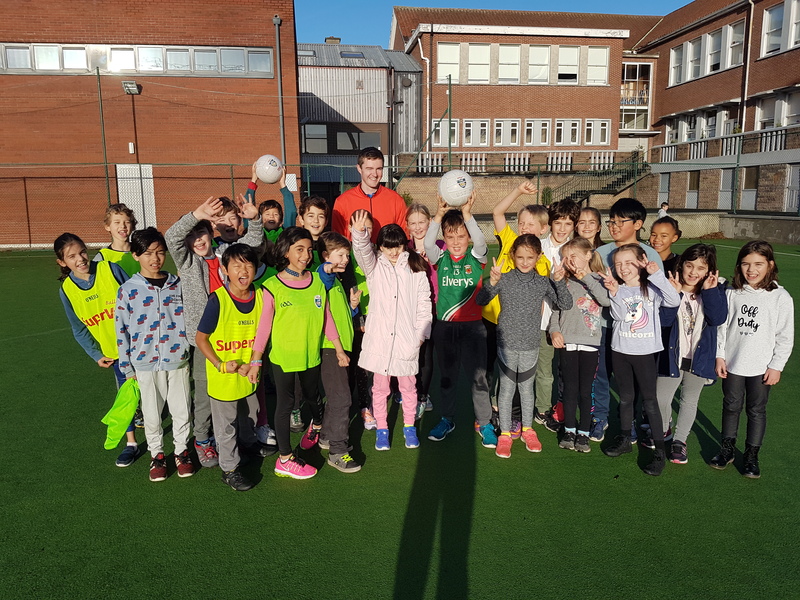 Our class has had visits from Dónal of Ballinteer St. John’s Gaelic Football Club. Every Wednesday morning at 9am we would go outside to play gaelic. We did mini-matches and passing to improve our skills and to learn how to play the game. We also played some fun games like stuck in the mud, racing and grab a bib! We did it for six weeks and it was awesome! Our class would like to thank Dónal for giving us gaelic lessons.